Empire is the team to beat heading into matchday 11. With matchday 10 wrapped for the European division of R6 Pro League, let’s take a look at the matches and some highlights. First, Team Secret faced off against Team Empire on Coastline. Empire entered the day sitting comfortably at the top of the EU standings, while Team Secret looked to claw their way out of the bottom position. A lot was riding on this matchup for Secret, who needed a win to prevent potentially being knocked back to Challenger League, according to Ghassan “Milosh” Finge. Early matches indicated that it would be a bad day for Secret’s roamers, especially when going against Danil “joySTICK” Gabov, who managed to take down lone roamers with ease early in several matches. Secret found their first win on round five thanks to a three-vs-five scenario late in the round. We saw Secret climb back to put the match at 3-6, but it was not enough to fend off Empire, who locked up the match at 7-3. Boasting an undefeated record, Empire’s spot in the finals is almost certainly secured at this point. Congratulations to @team_empire! They beat @teamsecret and continue their strong 1st place lead in the EU Pro League! Natus Vincere and LeStream Esport fought it out on Villa in an unexpectedly even match. LSE got a first round win, which is no surprise given that the pre-match survey put LSE as the favored team by a large margin. NaVi’s choice of running a Nomad proved to be a wise choice. A well-placed Airjab prevented LSE’s lone survivor from even getting a peek on the planted defuser in round two. Entering the halfway point, the match stood at 3-2 in LES’ favor, only for NaVi to tie it up 3-3, proving that this match would be much more give-and-take than initially expected. LES seemed unaware at times, which continually led to mistakes being made and allowing the match to tie-up yet again at 4-4. LSE’s Théophile “Hicks” Dupont made a huge mistake in the way of teamkilling Maurice “Aceez” Erkelenz in round 10, effectively throwing the round away for his team. Robert “Flynn” Flynn noted that the teamkill could have been a $200,000 mistake, resulting in NaVi tying it up once more at 5-5. Unfortunately for NaVi, LES was able to secure a 7-5 match victory. Milosh commended Aleksi “Uuno” Työppönen’s versatility and skill throughout the match. The match was by no means the blowout that was expected, but predictions proved accurate when LSE took the match. Congratulations to @LeStreamEsport! They win 7-5 against @natusvincere in the EU Pro League! Game three saw PENTA Sports throwdown with G2 Esports in a high-stakes match that dictated whether Empire would enter the playoffs with little opposition, Milosh highlighted. Both teams settled on Consulate as the map of play. Round four saw Jean “RevaN” Prudenti perform a clutch run out to catch two rappelling G2 members off-guard, which tipped the round in PENTA’s favor. The teams took a 3-3 tie into halftime, with PENTA holding the objective with vertical play. G2 played a stellar round seven, holding site until the last 20 seconds of the match. Fabian “Fabian” Hällsten and Joonas ”jNSzki” Savolainen denied the remaining members of PENTA from planting Garage, which helped carry their momentum into the following rounds. With the match at 6-3 in G2’s favor, PENTA looked to secure a tie game at 6-6, but G2 pulled out a 7-3 to close it out. G2 looks to have a potentially softer matchup next week against the bottom-ranked Team Secret. Well played by @G2esports! 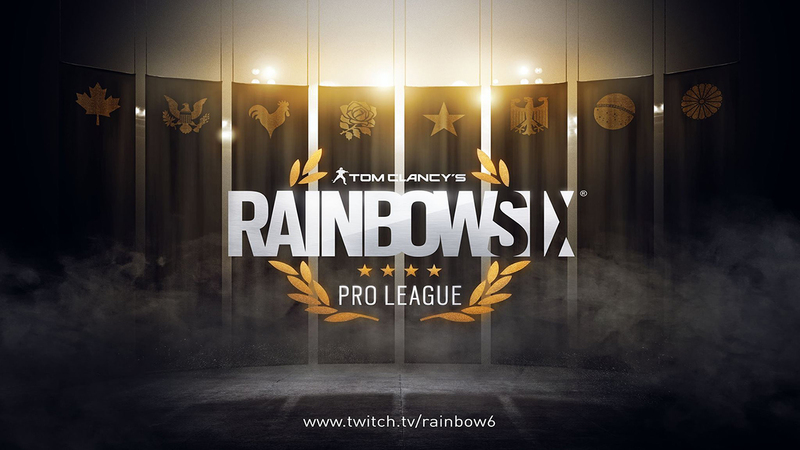 They win their match against @PENTA_Sports in the EU Pro League! The final matchup of the day was Mousesports vs. CHAOS, who also played on Consulate. Both Flynn and Milosh were surprised that Echo was not banned by either team, making this matchup the first to allow Echo in play. As Milosh pointed out during the stream, mouz seemed comfortable holding their angles, which played in their favor. The first two rounds went to mouz, with credit going to Ville “SHA77E” Palola‘s Echo plays. Meanwhile Christoffe “Kripps” Brushane seemed bent on taking as many of his opponents off the board with his Ash plays to help secure CHAOS’ first win of the match. Mouz approached the half with a 3-1 lead over CHAOS, but was answered by Kripps’ dynamite Ash once more to tie it up 3-3. To both Flynn and Milosh’s surprise, mouz ran a failed rush play in round seven, which led to a loss of momentum for mouz. The second half seemed like CHAOS would be the clearcut victor, but mouz didn’t lay down and brought the match back to 6-5. The match was still in CHAOS’ favor, however. Despite a fantastic defense, mouz was unable to secure a 6-6 tie and the match went to CHAOS in the form of a 7-5 victory. Overall, CHAOS and mouz managed to provide fans with a back-and-forth match that was full of excitement and some impressive comebacks. With a score of 7-5, @ChaosEC beats @mousesports in the EU Pro League! Pro League returns next week for another exciting week of matchups. Before signing off, Milosh teased some surprises for fans in the coming week, so keep your eyes peeled in the coming weeks!